A one stop travel hub that provides a wide array of services travel services including : Outbound Tour Packages, Flexi Holidays, Customised & Private Touring Experiences, MICE/Incentive Travel, Educational & Immersion Programs, niche holiday programs targeted for the Muslim Market segment and many more. CTC Travel brand which benchmark itself on quality services, have created innovative travel itineraries with exclusive inclusions, pride itself in working with quality and professional partners all over the world including China, Europe, America, Australia, New Zealand, Japan, Korea, Taiwan, Middle East, and many more exotic destinations. Check in Changi International Airport for your scheduled flight to shopping paradise – Hong Kong. Upon arrival, meet our local representative and transfer to your hotel. Today, proceed for your half day city tour to Golden Bauhinia Square, Victoria Peak (Mid-Level), Repulse Bay, Aberdeen Fishing Village, Jewel Shop and Chinese herb shop. Afterwards, transfer to Macau by ferry around 16:00p.m. After breakfast, start Macau city tour which includes Penha Hill, St. Paul's Church, A-Ma Temple &amp; Venetian Resort. Afterwards, transfer to Hong Kong by ferry. Own arrangement to hotel upon arrival back in Hong Kong. It will be free and leisure until time to transfer to the airport for your flight back home. 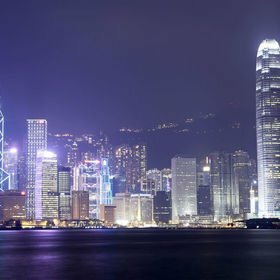 Start HKG half day city tour in the morning including Bauhinia Square, Victoria Peak (Mid-Level), Repulse Bay, Aberdeen Fishing Village, Jewel Shop &amp; Chinese Herb Shop. Afterwards, transfer to Macau by ferry around 16:00p.m. After breakfast, start Macau city tour which includes Penha Hill, St Paul's Church, A-Ma Temple &amp; Venetian Resort. Afterwards, transfer to Zhuhai by coach. Check in at the Airport for your schedule flight to shopping paradise – Hong Kong. Upon arrival, you will meet our local representative and be transferred to your hotel. Today, proceed for your half day city tour to Golden Bauhinia Square, Victoria Peak (Mid-Level), Repulse Bay, Aberdeen Fishing Village, Jewel Shop and Chinese herb shop. After city tour, depart for Shenzhen by train. After breakfast, proceed to Shenzhen City tour before transfer to Window of the World. There are total 118 scenic spots which include Grand Canyon, Taj Mahal, Sydney Opera House and more. 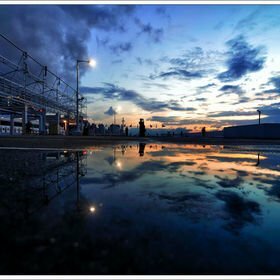 In the evening, take the ferry to Macau. This morning, visit the historical Ruins of St Paul’s Church to appreciate the beautiful sculptures on the archaeological façade. Next visit the A-Ma Temple which was dedicated to the seafarer’s goddess dated from the early 16th century. 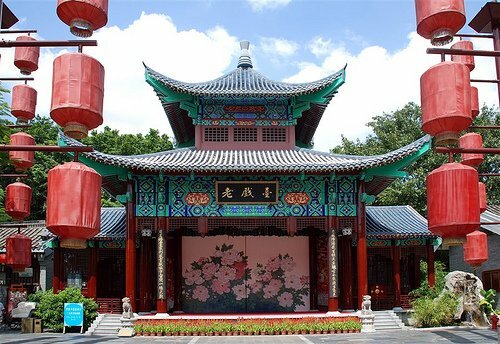 Lastly, visit Kun Lam Tong Temple which its decorated halls are dedicated to the Buddha of Longevity and Goddess of Mercy. You may like to shop for local products or visit the casino before taking the ferry back to Hong Kong. (Upon arrive into Hong Kong, own arrangement back to Hotel). Compulsory service fee for guide & driver: HKD50 per passenger per city (Hong Kong, Shenzhen & Macau) x 3 cities. Check in at Changi International Airport for your schedule flight to shopping paradise - Hong Kong. Upon arrival, you will meet the local representative and be transferred to your hotel. Proceed to the complimentary half-day city tour, which include Victoria Peak, Repulse Bay and Hong Kong Island. After the tour you are free to explore the beauty of Hong Kong at your own leisure. There is still time to do your last minute shopping before you are being transferred to the airport for your flight to Singapore with fond memories of your holidays. Upon arrival, transfer to Disneyland Hollywood Hotel. Rest of day is free at leisure. A one day ticket to Disneyland is included today to explore this world famous theme park on your own. Enjoy exciting and playful attractions, watch amazing shows and meet your favorite Disney Characters! Transfer to your hotel after the fireworks! 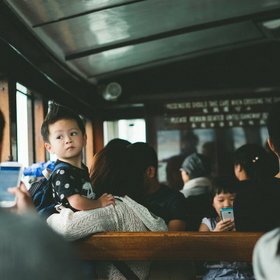 Proceed for your half day city tour to Golden Bauhinia Square, Victoria Peak (Mid-Level), Repulse Bay, Aberdeen Fishing Village, Jewel Shop and Chinese herb shop. You will be dismissed at Tsim Sha Tsui to shop around or explore other parts of Hong Kong on your own. 1 day Disneyland Theme Park Tour with one day pass. Transfer to city hotel after fireworks. Whole day Disneyland Theme Park Tour with one day pass. Travel to city hotel and check in after the fireworks. Proceed to the complimentary half-day city tour, which includes Repulse Bay, Aberdeen, Mid-level of the Peak, Bauhinia Sq, Jewelry Factory, Chinese Herb Shop and group photo. Depart Singapore to Hong Kong, upon arrival transfer to hotel (set-in-coach) for check-in. This morning proceed for the complimen-tary half-day city tour, which include Golden Bauhinia Square, Victoria Peak (Mid-Level), Repulse Bay, Aberdeen fishing village, **Jewel shop and Ginseng shop. Later in the afternoon, be transferred to Shen-then by KCR Electrical train. After buffet breakfast in hotel, proceed to Shenzhen city tour &amp; Museum, and then transfer to The Window of the World. There are a total of 118 scenic spots which include Pyramid and The Amon Temple of Karnak, Grand Canyon, Tal Mahal, Sydney Opera House, Leaning Tower of Pisa, Eiffel Tower and more. The 108-meter-tall Eiffel Tower can be reached by elevator so tourists could have a bird's eye view of Shenzhen and Hong Kong. The famous Shenzhen Roasted Goose, Pigeon Dinner will be served. This morning free at own leisure, after-noon return to Hong Kong by train. Upon arrival in Kowloon Train Station, own ar-rangement to hotel. Free at leisure until is time to be transferred to airport for your return flight to Singapore with fond memories of your holiday. Upon arrival in Hong Kong International Airport, take your sit-in-coach transfer to your choice of hotel. After breakfast, start on your half day city tour. First, visit the Golden Bauhinia Square, Repulse Bay, Aberdeen Fishing Village, Jewelry Factory, Chinese Herbal Shop and the Accessories Outlet. Tour will be dismissed at Tsim Sha Tsui Area. In the morning, take your Sit-in-Coach transfer to Hong Kong Disney Hollywood Hotel. You may proceed to meet your favorite Disney characters or princesses st the Theme Park! Watch the fabulous entertainment shows or enjoy adventurous thrilling rides. If the weather permits, catch the glittering firework display! Overnight in Disney Hollywood Hotel (Garden View). Upon arrival at Hong Kong International Airport, take your sit in coach transfer to your choice of Hong Kong Hotel. After Breakfast, start on your half day city tour. First, visit the Golden Bauhinia Square, Repulse Bay, Aberdeen Fishing Village, Jewelry Factory, Chinese Herbal Shop and the Accessories Outlet. After the tour, take a train ride to Shenzhen. Upon arrival at Shenzhen, you will be transferred to your hotel. This morning Shenzhen city tour includes Window of the World, shopping in Mineral shop and the Gem god Fund Treasury. Take a ferry from Shenzhen She Kou pier to Macau. (For 8 paxs and above will be by Seat in coach to Macau instead of by ferry). Upon arrival, take the hotel shuttle to your Macau Hotel. In the morning, start on your Macau City Tour and visit the Ruins of St. Paul church, A-Ma Temple, Penha Hill, Casino and Shops. After the tour, take the Sit in Coach transfer to Macau Ferry Terminal for your ferry back to Hong Kong. Upon arrival at Hong Kong Ferry Terminal, make your own arrangement back to your Hong Kong Hotel. Spend your holiday in Hong Kong, a city with a great combination between west and east cultures. As we all know, Hong Kong is prominent as a shopping paradise. In fact, you can do other interesting things there besides shopping. 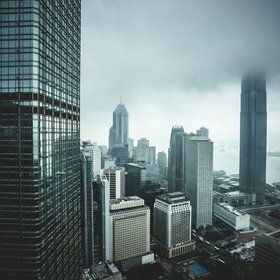 In Hong Kong, you can enjoy many modern futuristic skyscrapers. They look even more awesome at night with their colorful lights ready to make Hong Kong glow. Not to mention the delicious dishes you can find in Hong Kong. 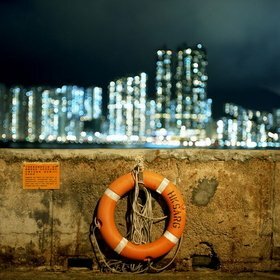 If you are worried about safety, Hong Kong is listed as one of the safest cities in world. Their public transportation is easily available and reliable for travellers to discover around the city. Since Hong Kong has strong tractive power, it is no wonder that many travel agents are offering tour packages to Hong Kong. Choose from the various holiday packages, but make sure you choose a package that allows you visit incredible tourist destinations. One of them is Victoria Peak where you can sightsee Hong Kong’s awesome panoramic from the highest point. You also can enjoy great family time at Hong Kong Disneyland, Ocean Park, and Madame Tussauds. Furthermore, there are more fascinating tourist spots you must visit, such as Aberdeen Bay, Lantau Island, Hong Kong Space Museum, Hong Kong Museum of Art, etc. If you prefer shopping, you wouldn't want to miss Temple Street Night Market, Tsim Sha Tsui, Ladies' Market (Tung Choi Street), Stanley Market, and Tai Yuen Street.